This gift will be cherished for years to come. 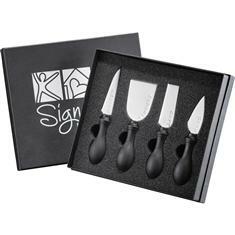 A delightful cheese set includes 4 labeled knives packed in a gift box. The knives are made of durable ABS Plastic and Stainless Steel.